Each freeform turning is completely handmade. Every piece goes through a lengthy process, which can take up to six months from start to finish. The wood is carefully harvested, shaped, seasoned, and shaped again. The result is a beautiful, unique, poetic, one-of-a-kind sculpture. The beauty of each sculpture tells the story not only of how it was made, but evokes a connection the the larger natural world. 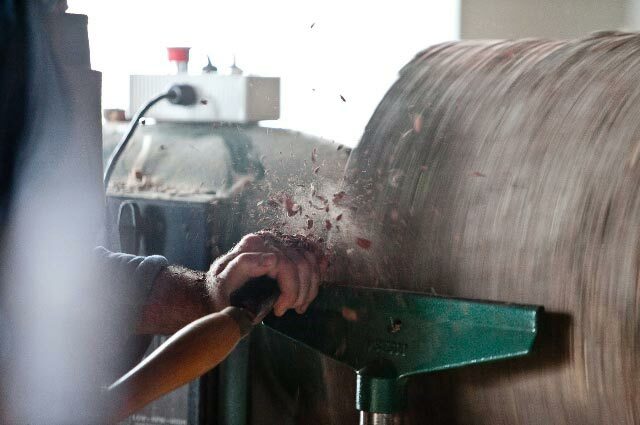 "On a good day I try to lose myself in the rhythm of the whole process; the spinning wood, the sound and tone of the cut I am making, and the resonance of a balanced form."